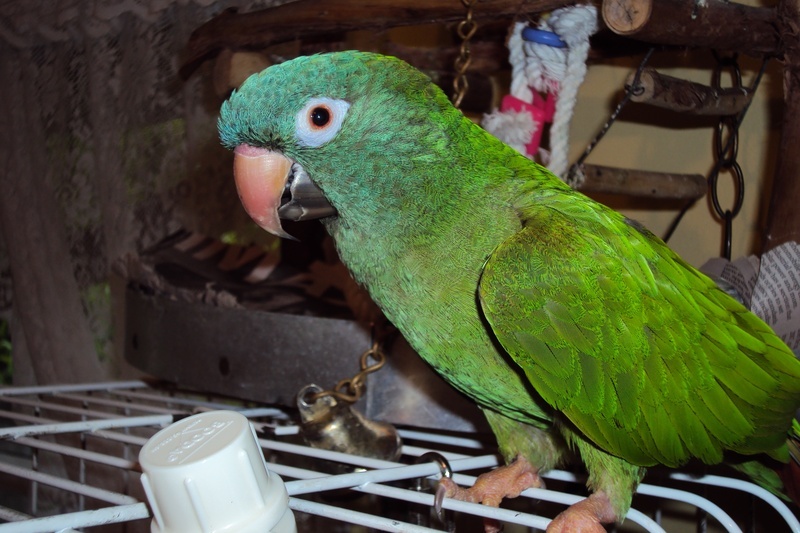 I am 20+ years old, a blue crown conure. I am the most recent adoption. My last Mommy got alergic to me. I came to live with auntie Michelle., who is now Mommy.She used to babysit me for many years, so I was comfortable when I came to stay. I have a super cute voice. I am very happy here.